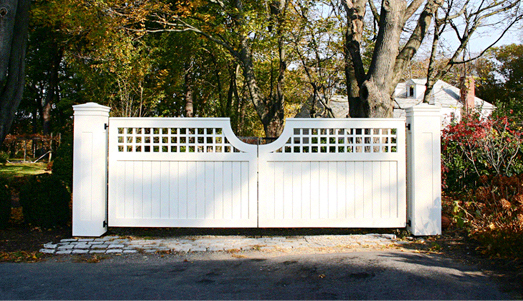 These large driveway gates are 5½ feet tall and span a distance of over 13 feet. They are exceptionally strong, employing 4" thick framing, using through mortise and tenon joinery. The paneled posts are 22" square with a peaked cap. Constructed of clear, kiln dried western red cedar. 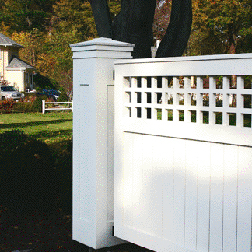 The lattice is 1½" x 1½" full-lap construction.